"Here we have an example of a before and after look at a normal sail that came in with a mildew problem, and after we cleaned it with our Vacu Wash system it looked as good as new. 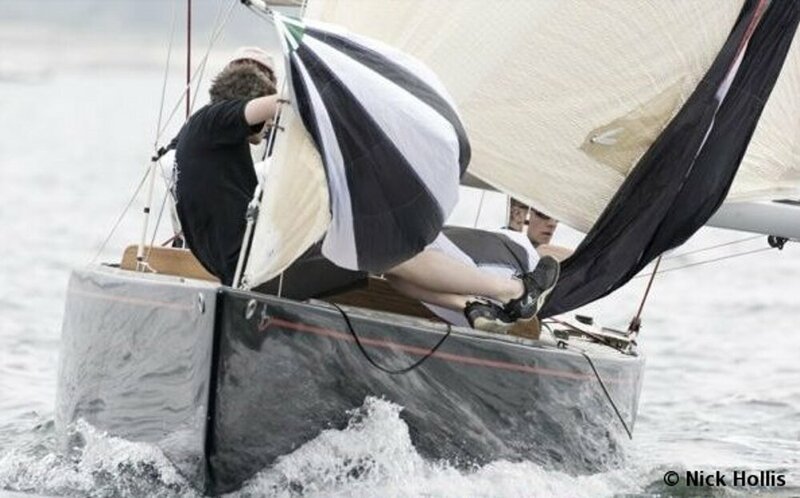 This sail is a perfect candidate for our Mclube Sailkote PLUS professional application as a coating of Sailkote PLUS will protect any such sail for a minimum of 6 years, even under the worst of conditions." Sail Hoists Like a Dream! 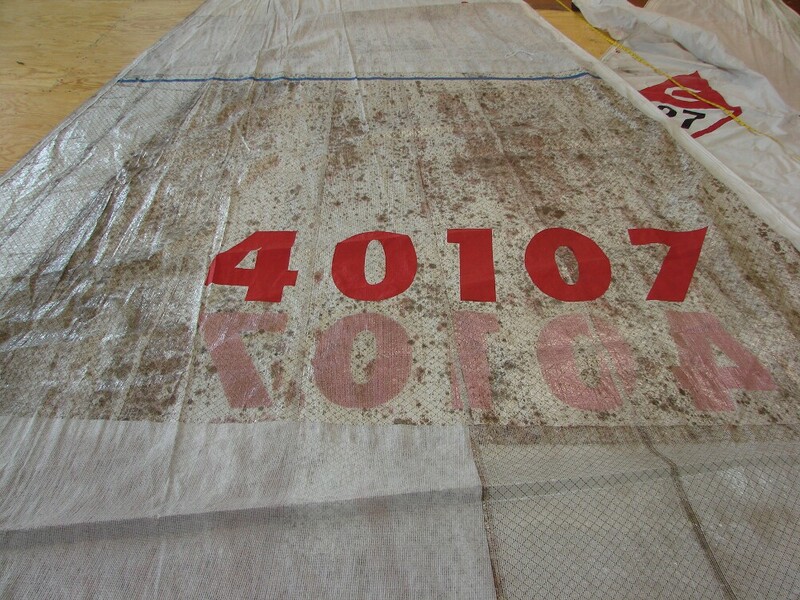 "We used to struggle with the massive spinnakers on our International 6Metre dragging them around a huge genoa. So we had our new kite coated with McLube&rquot;s Sail Kote. The kite hoisted and dropped like a dream. Slick mark roundings certainly helped us win 4 out 5 regattas this year." "Wet, misty and cool conditions seemed to further increase the added advantage of Sailkoting our spinnakers. 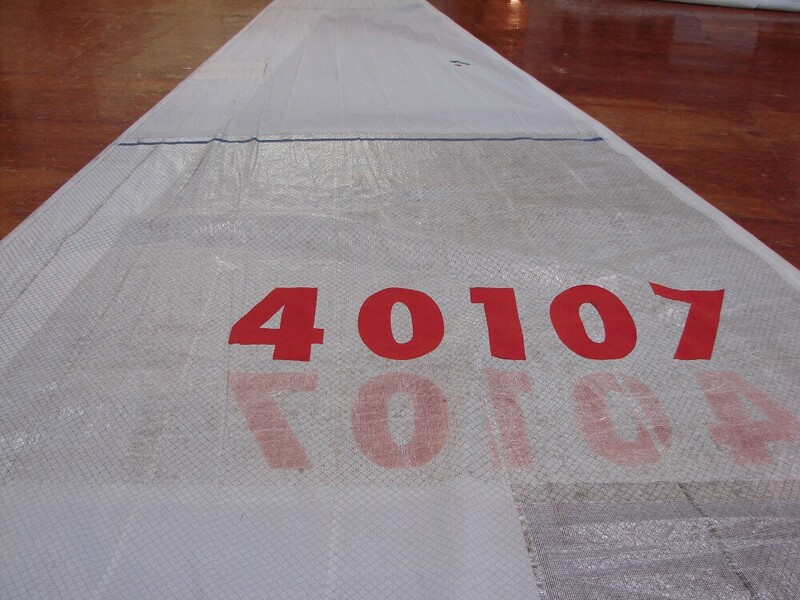 The Sailkote PLUS made for faster sets, much smoother gybes, and we always knew we had the lightest possible spinnaker flying in those conditions due to greatly reduced water absorption, thanks to the ultra-hydrophobic nature of the Sailkote PLUS coating on our spinnakers." "I'm very impressed with the Sailkote PLUS application sprayed on our racing spinnakers by Dolphin Sails in the UK. I've been racing Dragons for decades and as soon as the freshly Sailkoted spinnaker was being hoisted for the first time, I realized the value in doing this. The kite is now SO slippery, that it slides right out of the launcher tube, even when it is wet! Amazingly, even when it goes up wet, the water drops literally run right off the sail and the sail is immediately dry and light once again. 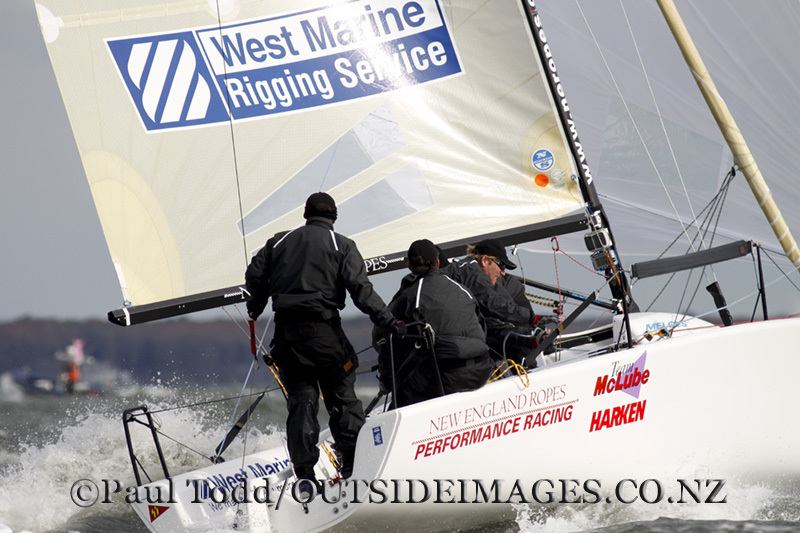 It's also a huge advantage when it's time to drop the spinnaker back into the tube. We only have to pull about 50% as hard to pull the spinnaker down now, and this greatly reduced friction also seems to eliminate mishaps at the leeward mark takedowns as well. 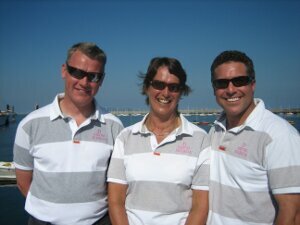 Thank you Dolphin Sails, and thank you McLube!"